In the realm of social media (i.e.- engaging with others online), I run in a few different circles. There’s this blog which, until this past week, was linked to my Twitter account. It is a probably the crossroads between the ideal and the ordeal of my life. My Twitter account, which I use mostly for staying on top of items of interest and also as the main tool of my own PLN (personal learning network). My LinkedIn account is, for now, used for business networking. Finally, there’s Facebook, which is was initially a very personal, real life, platform. Slowly some “blogging friends” were given access, but it mostly a good way to stay in touch with friends from Wichita, New York, and local Chicago types. I tried “importing” by blog posts into Facebook, but gave up because a majority of my posts were not something that the majority of my Facebook friends would find interesting. When Facebook first opened to the public I joined and saw that was mostly a way to express chizonius (the external), like people posting what they went shopping for and when they were making coffee. It’s still the number one vehicle I would use if I needed to get Tehillim said for some own, because of the amount of people who use it multiple times a day and the easy of sharing info. This blog is more of the penimius (internal) of who I am. As I wrote above, it is where the ideal and ordeal collide. What inspires me is revealed and what I find as a challenge also makes its way on this blog. So, which one best represents me? All of them express aspects of who I am. Modern Uberdox is probably the most “real” because even though I blog under my own name, most people that I know, don’t read it (that I am aware of). That give me a little leeway with what I write and share, even though it is open to the pubic. I bring this up now because I understand that you are taking time out of your day to read this and I am appreciative. Time used to go online for anything is time that can be spent somewhere else. There are times when you can simply add on to a house and not only update it, but make it bigger and better. Other times you find a structure is just not sturdy enough to work on and you have to level it and rebuild. 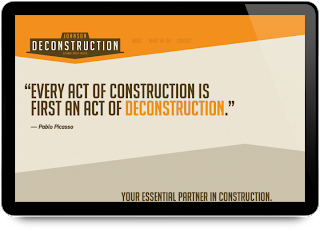 While always attracted to growth and Mussar, I have tried for most of my observant adult life to build upon my own foundation. That has been successful for some time. I can say with confidence that my davening is tangibly different than it was a year ago. In the arena of several middos, this isn’t the case. With all of the learning I’ve done and work on myself, my Yetzer Hora got the upper hand with one specific middah and it’s been a slap in the face for me. It took a number of difficult situations over the past four months to finally accept the truth that I must rebuild from scratch. Not a fun realization, but I am grateful that it came with minimal loss. I now see that really working on myself is painful and difficult. If it comes too easy, then I am focusing on the wrong thing. This entry was posted in growth, Middos, Mussar, personal on April 14, 2013 by Neil Harris. This entry was posted in Gedolim, growth, Middos, Mussar, seforim on April 1, 2012 by Neil Harris. This Shabbos Kodesh, the 25th of Shvat, is the yahrzeit of Rabbi Yisrael Salanter zt’l. This was prepared in zechus of a refuah shelayma for Reuven ben Tova Chaya and Miriam Orit bas Devorah. A downloadable pdf version is available here. אמת – שלא להוציא מן הפה דבר שאין הלב מעיד על אמיתותו. Truth– Never speak a word unless your heart can testify to its truth. Do the words we speak to others clearly reflect the feelings in our heart? It is vital that when we talk with our friends or family members we open up ourselves and show them who we really are. Our heart serves as a witness to what we say and who we are. The gemara in Yoma 69b states that Hashem’s “seal” is אמת, truth. By committing to speak the truth in all matters, we are connecting to Hashem in a very powerful way. זריזות-שלא לבטל רגע לבטלה. כן לעשות מה שדרוש לעשות. 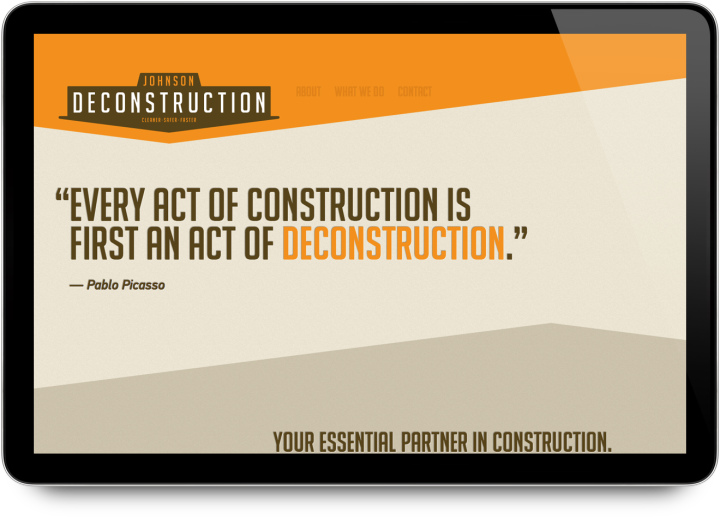 Alacrity– Never waste a single moment; do what has to be done. Do you grab moments in life or do they slip away? This middah is about grabbing the opportunities that Hashem puts in front of us when it comes our way. When it comes to doing what has to be done, it’s all about priorities. Some things are clearly not as important to do as others. The sefer Orchos Tzaddikim says that we learn alacrity from Avraham. Before the Akeida, he “woke up early in the morning” (Bereishis 22:3). We are not just talking about mitzvos, though. We have to approach daily tasks with this same energy. It can be emails in your inbox, dishes in the sink, an assignment in school, or laundry. Things need to be accomplished in a timely fashion. חריצות – לעשות מה שהוחלט לעשות בשקידה וברגש. Diligence– Do what you have determined to do and do it with feeling. How long is your “to do” list? If you are like most people, just when you take one thing off your list, two more are written down. While the previous middah dealt with doing what has to be done in a timely manner, this is different. This middah is more about actualizing your decisions by following through. We can make plans to exercise, start dieting, or even to learn more Torah, but for many these are just “plans”. Making up my mind is only step one. Step two is to make it happen. Rabbi Yisrael teaches us the secret to following step two. He says, “Do it with feeling.” To take an idea or make a decision and bring it into this world is a powerful thing. When we are passionate about what we try to do, we are that much closer to success. כבוד – להיזהר בכבוד כל אדם ואפילו של זה שאין אנו תמימי דעה עמו. Honor: Be careful to treat all people with honor, even those with whom you have little in common. Do you treat everyone you know with honor? The idea behind this middah is that everyone is created in the image of Hashem, even if we don’t like them. This means that we have to recognize that their neshama (soul) is connected to Hashem. We all know sometimes it’s easier to be nice to strangers in a store than it is with those that we live with. To be known as a nice person on the street isn’t a big deal. Being a nice person when we enter the front door of our homes is much more difficult. There are people you meet in life that you simply find it difficult to connect with or even get along with. They might be more or less observant than you, daven somewhere else, or have totally different values than you do. We can’t forget that they are also created by Hashem. מנוחה – מנוחת הנפש, לבלי היות מבוהל ולעשות כל דבר במנוחה. 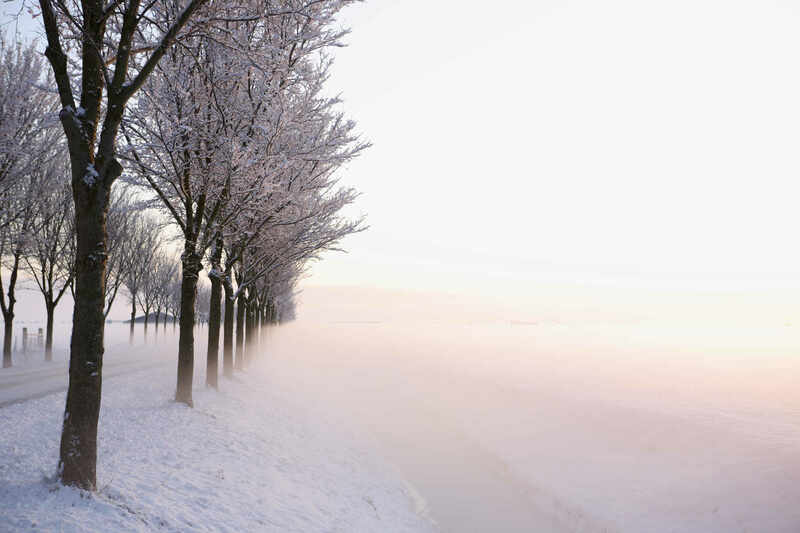 Tranquility: Find an inner calmness; do not be overwhelmed; always act with deliberation. נחת – דברי חכמים בנחת נשמעים, ולכן השתדל לדבר כן. Gentleness: The wise speak in a gentle manner; always try to speak softly. When do find yourself shouting? The Ramban, in his famous letter, instructs his son to, “Get into the habit of always speaking calmly to everyone.” Speaking to others gently allows you to not only be heard, but to listen to another person. When we get aggravated and raise our voice, usually someone will do the same. We end up yelling so loud that we can’t even hear the other person or their side of the story. Rabbi Yisrael Salanter is teaching us that that our words are powerful. Everyone has been hurt by something that someone has said to them. While physical abuse is outwardly more apparent, verbal abuse hurts us on the inside. Sharp words hurt. Softly spoken words can hurt too, but might be better received. ניקיון – ניקיון וטהרה בגופו ובבגדיו. 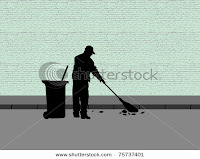 Cleanliness: Attain cleanliness and purity in body and clothing. How do you appear to other people? This isn’t a lesson in my hygiene and appearance. It’s about how the outside world views me. If I recognize that my neshama was given to me my Hashem, then that needs to be reflected in how I present myself in the world. If we look in the mirror and are happy with what we see, it means something. Our outer appearance needs to reflect our inner appearance. The type of Jew we are at home should also be the type of Jew we are when we are not at home. If we really are children of the King of Kings, then how we carry ourselves and dress should reflect that honor. סבלנות – לסבול במנוחה כל מקרה וכל פגע בחיים. Patience: Calmly confront every situation and absorb each occurrence in life. Is there someone that eats away your patience? The root of the Hebrew word for patience means load or burden (based on Alei Shur by Rabbi Shlomo Volbe zt’l). Being a patience person means that see the whole picture, the parts we like and parts we don’t like. We might not like the person we are dealing with or a specific situation, but we carry that with us. Sometimes I’ll notice myself getting impatient and just stop what I’m doing and count backwards from 30 to 1. That usually helps me. We have to remember that challenges and difficulties are like a computer virus. If you stop them early, you can save your operating system. סדר – לעשות כל מעשה ועניין בסדר ובמשטר. Orderliness: Carry out your responsibilities in all aspects in an orderly fashion. What happens when you don’t follow your GPS directions in order? We all know it is important to follow the correct directions or we’ll get lost. No matter if it’s a school report, project for work, a recipe for dinner, or the way to perform a mitzvah, there’s an order that has to be followed. It’s easy to get frazzled quickly when responsibilities stack up. This is why we have to have to know what needs to be done first. 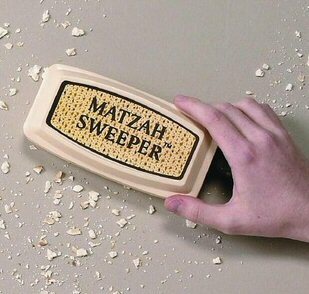 Pirkei Avos (5:7) states that one of the seven characteristics of a wise person is that, “He responds to first things first and to latter things later.” This is a simple, yet practical application of the middah of orderliness. ענוה – להכיר חסרונות עצמו ולהסיח דעת ממומי חברו. Humility: Recognize your own shortcomings and disregard those of your fellow man. Do you know anyone that thinks they are always right? According to Rabbi Salanter, the first step in attaining humility is realizing our own strengths and weaknesses. We all excel in certain things and there are other areas that we need to work on. It’s important to remember this when dealing with others. We all need to learn to see the positive things in others. Each time we deal with someone, we need to stop looking at their shortcomings and see the positive things that we can learn from others. By doing this we can grow into the person we are meant to be. צדק – כפשוטו וכדרשתו: ‘וותר משלך’. Righteousness: In its most basic form; and also to be to “forgo your own interests”. Are justice and righteousness the same thing? Both can only be measured by a set standard. In our lives, that standard is Hashem’s Torah. Doing the right thing isn’t always easy. Rabbi Yisrael Salanter says that we have “to be willing to even give up things that can benefit us. This could include: a parking spot, your seat in shul, the last delicious brownie, giving a smile or a kind work to another person. Rabbi Salanter’s great-grandson, Rabbi Eliyahu Eliezer Dessler zt’l, took this concept of giving and taught that there are two types of people in the world, givers and takers. Being a giver is truly a righteous thing. קמוץ – שלא להוציא פרוטה שלא לצורך. Do we purchase what we need or what we want? This is a very different middah than the previous ones, because it directly related to so something material. How we spend our money gives us is an indication of what we value. We need to realize that every dollar and every penny is ultimately given to us by Hashem and we should be careful about how we spend it. There is nothing wrong with working hard and owning things that you feel you deserve. However, affluence isn’t everything. It’s what we do with our money that demonstrates the quality of who we are. As it states in Eruvin 65b: A person is recognized through three things – his Kos (how he acts after drinking), his Ka’as (anger), and his Kis (wallet or how he spends). שתיקה – יחשוב את התועלת שבדבריו קודם שידבר. Silence: Think about the benefit of your words before you say them. How often do you say something without really thinking about it? Words reveal our thoughts and allow us to connect with others. We talk, text, email, constantly, connecting with others. We need to think about what we say and how those words can help another person. A kind word or show of thanks is an extremely powerful force. When praying, we also are using the power of speech. Rabbi Yisrael Salanter’s final middah challenges each of us to think about the gift of speech. When we communicate with someone, we need to realize that we are revealing part of our neshama, that which is connected to Hashem, the source of all truth. The Hebrew text for the 13 middos is based on written accounts about Rabbi Yisrael Salanter printed in the sefer Mikor Baruch by Rabbi Baruch Epstein zt”l, page 1111. This entry was posted in Middos, RYS's 13 Middos, Salanter on February 16, 2012 by Neil Harris. The following was published CHICAGO TORAH, a monthly publication of Yeshiva University Torah Mitzion Kollel of Chicago. 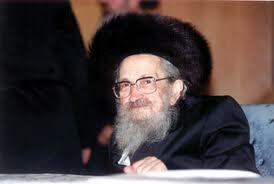 (1906-1993) was a distinguished Torah leader, who was renowned for his dedication to his countless students. 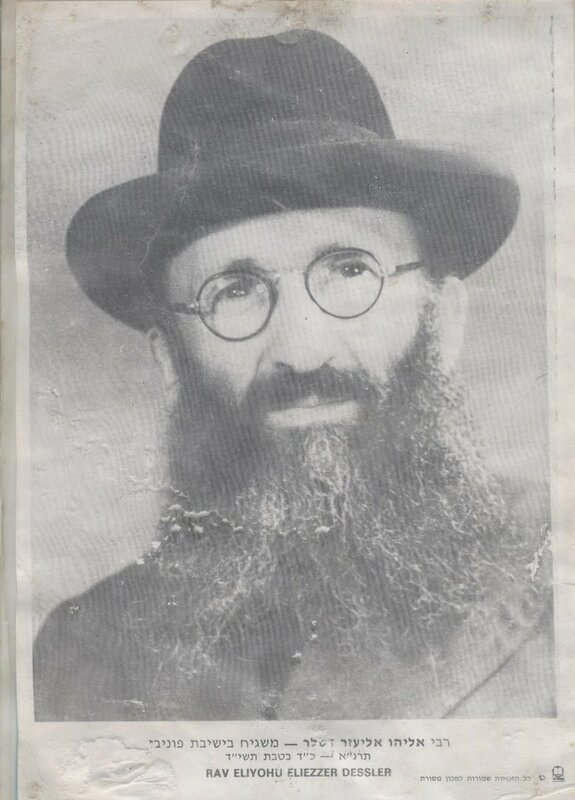 At the age of 30, Rav Lifshitz became the community rabbi of Suvalk in Poland, which he maintained until its capture by the Nazis in 1940. Rav Lifshitz and some of his family escaped to the United States where he presided as the Rosh Yeshiva of the Hebrew Theological College (HTC) for a brief period. Rav Lifshitz was presented with two opportunities in New York City: to serve as rosh yeshiva at two preeminent institutions, Torah Vodaath and Rabbi Isaac Elchanan Theological Seminary. Rav Lifshitz chose to accept the position at RIETS, where he served as teacher and mentor for nearly five decades. Rav Lifshitz lived with his family on the campus of the Yeshiva and made himself constantly available to his students. He treated each of them with great care and respect. One morning, a student came to his apartment unannounced. The student knocked on the apartment door, and the Rosh Yeshiva’s wife answered. She asked the student to wait in order to inform her husband of his guest. The student was waiting patiently, when he noticed the kitchen door slightly ajar. Through the gap, he saw Rav Lifshitz sitting at the table, without a jacket or hat, eating his breakfast. When the Rebbetzin informed Rav Lifshitz about the student who was waiting, he immediately ran to the back and donned his jacket and hat. After his conversation with Rav Lifshitz, the student left the apartment and understood the intentions of his Rebbe; without knowing, Rav Lifshitz taught the young man a lesson of respect- respect for Torah and respect for every person. The student understood that a teacher of Torah must present themselves with dignity and honor befitting the Torah that they represent. Rav Lifshitz taught that this honor was not only reserved for greeting distinguished guests or formal occasions. Every student, every visitor, deserved this same distinguished honor. It was with care and respect that he earned the devotion of his countless students. This entry was posted in Gedolim, lessons, Middos, stories on January 30, 2012 by Neil Harris. The 25th of Teves is the yahrtzeit of Rav Eliyahu Eliezer Dessler zt’l, one of the most influential post World War II baalei mussar. I’d like to re-examine one of my favorite about him, originally posted here. I had originally thought about writing something regarding Rav Desslers view of perfecting middos and our own subjectivity or his view on the importance of tefillah (praying), but I am going with a more down to earth message. A common theme among mussar teaching is the need to emphasize the mitzvos bein adam l’chavero (between person and person), while keeping in mind that recognizing the “Godliness” within each person falls into the venue of bein adam l’makom (between a person and Hashem). Those who are great people in the arena of character development are such because they think. Most of the times we feel slighted, turned off, distance or conflicted about relationships with others is because one party simply didn’t think about the other person. We don’t take time to really appreciate others or truly think about how someone else would feel when we give our opinion about something. So, as we come to the end of a week and start another, I will try to think more about those I interact with and attempt to bring kiddusha (holiness) to my relationships. The greatness of the story above, in my opinion, is that Rav Dessler gave thought to what he could do to show appreciation. 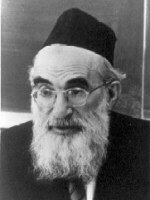 For other postings about Rav Dessler please click here. This entry was posted in Dessler, Middos, Mussar, stories, yahrzeit on January 20, 2012 by Neil Harris. This entry was posted in Chicago, Middos, mp3 shiurim, Mussar, seforim on January 11, 2012 by Neil Harris. Every year, as part of our day school’s “give/get” program, I volunteer as the “room mother” for my son’s class. The last time I blogged about this was when he was in 2nd grade. My duty was really just to watch the class eat lunch and hang out in the room while their Rebbe enjoyed the faculty Chanukah party at school. Last year, I said something that totally embarassed my son. This year I had the intention of keeping myself under the radar. As it turned out, that morning I drove “minyan carpool”, so I was in the school for shacharis. I observed something for 2 minutes that made me very sad. During davening one of the boys thought it would be cute to take a siddur from another boy who was davening. What surprised me was that these boys are actually really good friends. I kept waiting for the siddur to be returned, but it didn’t happen, so I went and retrieved it myself. I am not that friendly with the family of the boy to took the siddur, so I wasn’t too hip to saying something to him about what he did. I did mention to the boy who was left without a siddur that behavior like that isn’t the way that Hashem wants us to treat our fellow Jews and if someone does something like that again to him then he really should say something. I am very close with him, so he totally understood what I was saying. Knowing that I would have time in the classroom that afternoon with both boys (and the rest of my son’s class), I started thinking about how I could get the message across that taking a siddur from someone is totally uncool. As I walked into the class, I realized that I had to tell over Reb Shlomo Carlebach’s story of “The Holy Hunchback”. If you are not familiar with it, go here and then continue reading. I had played it for my son the week before and I knew that this was the vehicle to, hopefully, get my message delivered. I let the kids have their lunch and schmooze among themselves and then offered them a story. Even though my son hoped I would sing it, Carlebach style, I simply said it over, slowly repeating the catchprase, “Children, precious children, just remember the greatest thing in the world is to do somebody else a favor“. Then I said that by doing a favor to someone, we’re doing what Hashem does. He did us the biggest favor by creating the Torah, creating the world, and creating us. I mentioned that we don’t have to be street cleaner to do people favors. By simply smiling at someone, saying hi, or asking how someone is doing, you following Hashem’s example. Then I said to them that by making fun of someone or being mean you are doing the opposite of “the greatest thing in the world”. I told them, locking eyes for half a second with one boy, that even something that they think is harmless, like taking a siddur from a friend who is davening, is, like, far from the greatest thing they could do in the world… it’s not a favor to you, your friend, or Hashem. I ended my 40 minutes, as their next teacher came in, thanking them for their time and reminding them that “the greastest thing in the world is to do someone else a favor”. This entry was posted in chinuch, Gedolim, kids, Middos, personal, stories on December 27, 2011 by Neil Harris.